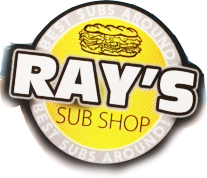 "Rays has always been one of my favorite sub places. Ewing has several of them as well - so you know it's quality! Their signature belly-busters are a particular favorite, but their hot subs are amazing too. After they switched ownership, they stopped loading the subs up with quite as much meat - but maybe that's a good thing to make a more-balanced sandwich? They also unveiled their 5 dollar menu - pretty awesome for high-quality subs. If you are in Ewing/Trenton/Pennington/Lawrence.. try this place out! You won't be disappointed"
"Regularly get the chicken cutlet belly buster (with buffalo infused cheddar) and have always been full for the rest of the day. I needed an event catered and no where else offered me such rapid service at a reasonable price. When my sedan couldn't hold all 24 feet of subs, Ray hopped in his car to help me out in a tight spot. If you're a student at TCNJ or just a local, definitely worth your while to make the trip down here for lunch"
"I feel super lucky that Ray's is the closest place for me to get a deli sandwich. I started going here for lunch about six months ago, and I keep going back because it's really tasty and the service is great. I'm not alone--there always seems to be an odd but friendly mix of people taking out or eating in at the jumble of wobbly tables. The menu is actually pretty big, and includes breakfast plates in the mornings, although I've only ever had cold subs. Ray's has a grill so there are a lot of hot food offerings, in addition to your basic hoagies and subs. The overall vibe of the place is pretty homely, but I like it a lot. If I could make one improvement, it would be a fountain RC machine"
"Ray's has pretty good sandwiches. They best in my opinion is the steak on garlic. The prices a fair and is a real sandwich shop, not like the more mainstream chains. The belly busters are really enough for a small family, but worth the challenge. It's worth a try if you are in the area. Nothing fancy about the regular hoagies, just made well"
"Excellent service and food. Sandwiches are the best! Try the chicken cutlet combo meal served with steak fries and a soft drink-- or 16 oz water and you are in heaven -- soooo close to home! Yummy"